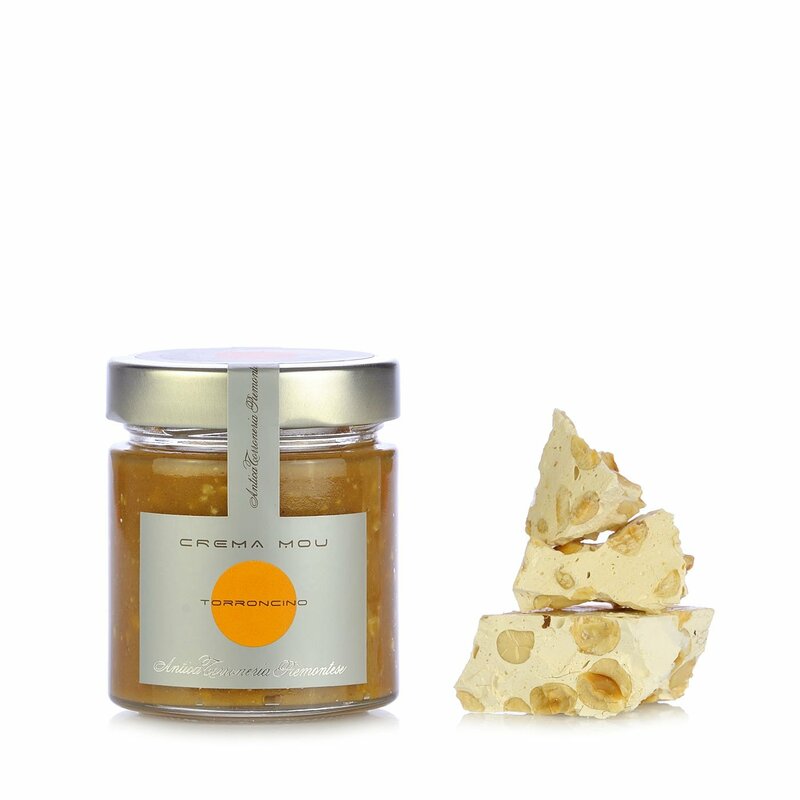 Honey, hazelnut paste and Piedmontese nougat: the ingredients guarantee the result! The exquisite flavour of Antica Torroneria Piemontese's Toffee Paste is due to the strict use of selected top quality ingredients. Try spreading some on a slice of bread for an unbeatable snack! Ingredients Honey, hazelnut paste, nougat (Piedmont IGP hazelnuts 43%), sugar, honey, glucose syrup, food-grade gelatin, wafer, aroma). ALLERGENS: Nuts (almonds, hazelnuts, walnuts, cashew nuts, Brazil nuts, pistachios, Macadamia nuts) and derived products For more information on product labels, please contact our Customer Service department. The information on the labels of the products may vary for reasons beyond our control, therefore, there may be discrepancies between the information on the site and that on the products delivered. Please always check the information on the product before consumption or use. Antica Torroneria Piemontese has been creating superb confections since 1885, all based on the IGP-certified Piedmont hazelnut, and bakery products made in accordance with Piedmontese artisanal tradition. Respect for tradition handed down from generation to generation ensures strict compliance with historic methods, while the choice of high quality ingredients allows the firm to make products of exceptional flavour and texture.